Stepping back in time real quick.. 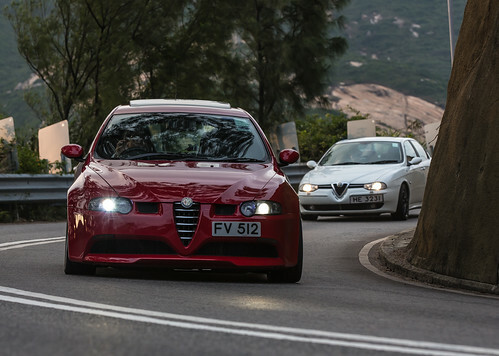 The Italian car maker Fiat S.p.A. said today that it would stop making its Alfa Romeo cars for the North American market after this year because of heavy losses. 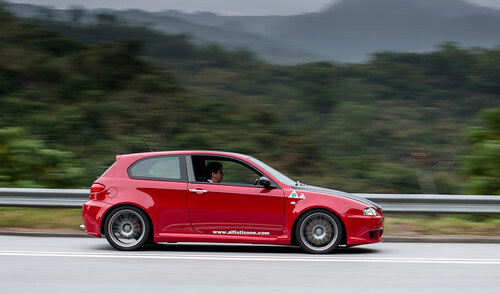 That will mean the end of Fiat’s passenger-car presence in the United States. Fiat also makes cars under its own name and under the name Lancia, although they are not sold in the United States or Canada. Fiat said that “Alfa Romeo’s continued presence in the North American market has become increasingly economically unfeasible” and that it expected losses to continue. The statement did not give details of the losses. The company said it could not justify the cost of adapting future models to United States specifications (source). ~ by velofinds on April 4, 2013.
i’m not convinced you guys stateside are really missing that much. all these alfas have massive amounts of character but also more than their share of flaws. the 159 looks great but is severely handicapped by its excess weight. it’s a plodding handler and under-performer. the 147gta and 156gta share that fantastic v6 but also all that’s bad with putting big power through the front wheels. Coincidentally I went to the Alfa Romeo website recently to see what they were making these days and I was immediately struck by the 159 Sportwagon. If I could buy one of these to replace my Saab 9-5 wagon I would be ecstatic. Maybe if they ever do return to the US market it would be possible. It should be noted too, many of these photographs were taken on some of the nicest driving roads in Hong Kong – those out to Luk Keng particularly. A spectacular drive from Central for a condensed-milk hot coffee & peanut butter waffle breakfast in a roadside cafe – while countless exotica file past on their way onto the twisty bits – is a great way to spend Sunday mornings. Neko. 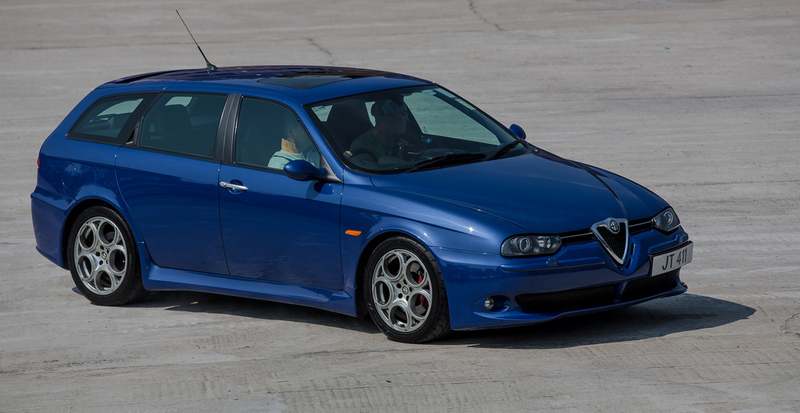 And even at that, the handling is not SO bad… I mean, it might be even more interesting to get smaller-engined cars (I’m thinking a 1.6 147, for instance), as those were asking you to rev their lives out of them, just like all great Italian cars. And while at it, the 147/156/159 platform is, basically, a racing car design that works great at the track. Just don’t expect much oversteer from them because it’s designed to prevent it by default! good point – the smaller engines are much sweeter and the cars more fun to drive. there’s a good piece by gavin green in the april issue of (uk) car magazine on how less is more when it comes to cars. The most fun I’ve ever had in a car was in a terrible Fiat 850 Spider. No power, so you had to rev it within an inch of its life just to go up a hill. It really was within an inch of its life, because both the tach and speedo were out, and I had no idea when to shift. Handled like a Shriner’s car, and with my large frame in it, looked like one too. 159 estates are gorgeous, for sure. 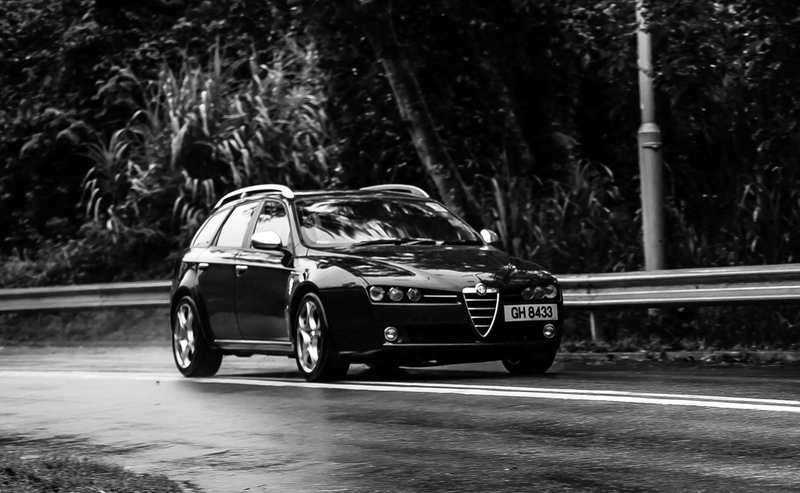 But Alfa is a dying brand. Last year they only sold about 100,000 world wide — in 2000 they sold 200,000. Alfa has to figure out a way to sell cars in the U.S. or Asia, or their a goner, just like Saab and Lancia. I think they could probably sell 20-30,000 cars a year in the U.S. without too much trouble. But I’m not sure that’s enough. IMO the fwd platform is in direct opposition to their image as a maker of sports cars and sporty sedans. If Alfa could come up with a BRZ type rwd sports coupe I think they’d sell a bunch. You are not aware that the 4C is coming out soon, right? Well the 4C is like an Exige/Cayman fighter, not BRZ fighter. The 4C may or may not do well— but it’s not going to be a volume seller the way a BRZ competitor potentially would be. The “Alfa Romeo Miata” also sounds promising, I think. Why does the Alfa version (of pretty much anything) always seem to be so much better looking? I wouldn’t be so quick to commend their design universally, actually— the headlights on the new 4C are a disaster, almost enough (for me, anyway) to be a dealbreaker. Anyway, those are just artist renderings (i.e., anyone’s guess) in the Road & Track link, but I’m sure you already knew that. Beauty is in the eye of the beholder, Drew. I kinda like the 4C – headlights and all. Sure, it’s not as pretty as the 8C, but it’s not in the same price range either. Yes, those artist renderings are just guesstimates (heavily influenced by recent Alfa and Mazda design language), but based on their design history, I suspect the upcoming Alfa spyder will be far better looking than it’s Mazda counterpart. At least to my eyes. The deal breaker for me is that you can’t get a third pedal in that car. Dallara sourced CF tub under 100k spells good times to come, but I’ll hold out for something that doesn’t have more clutches than I have feet..
They’ll be sold to VW soon enough. The smart money is that this can only be a good thing for the future of Alfa Romeo, which otherwise looks bleak as Peter mentions. Things can’t possibly get worse than they are now under Fiat management, which has produced such gems as Chryslers rebadged as Lancias, and Jeep SUVs rebadged as Alfas. Agreed. If Alfa gets sold to Audi, platform and drivetrain sharing is inevitable, but hopefully they can maintain the “Alfa-ness” in the designs and driving experience. 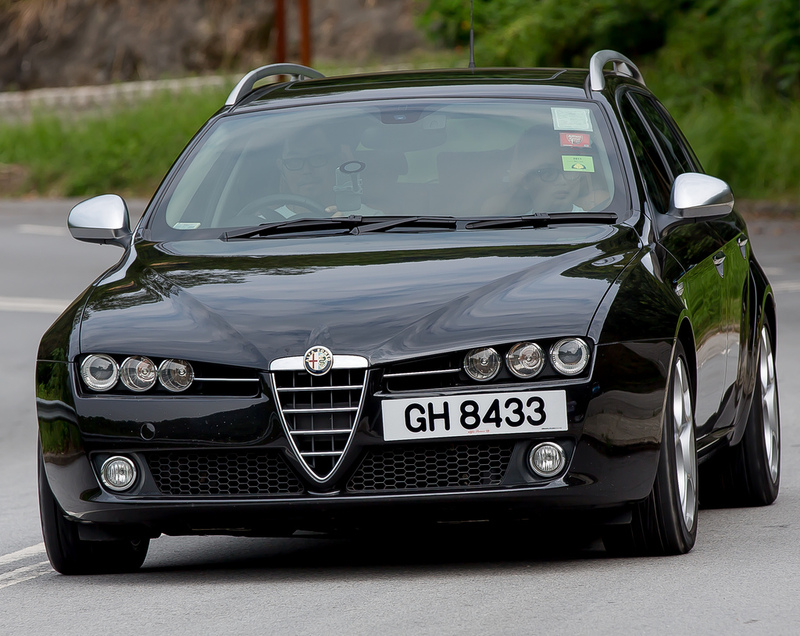 Italian design and feel with German underpinnings would be very compelling. Great example. That arrangement would seem to be working out pretty well for Lamborghini. Audi AG should just buy Italy. That should go toward cleaning up that country’s dire financial situation. I’m not clueless to the “issues” these Alfas have. I just don’t care. 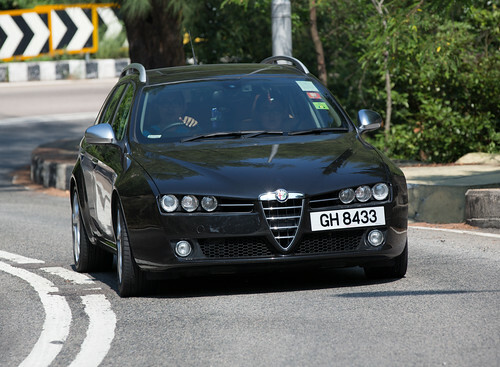 I would sell my non-critical organs on the black market to get a well-specified 159 Sportwagon here in the US. It’s that pretty. Oh man I hope Audi can pull this off. 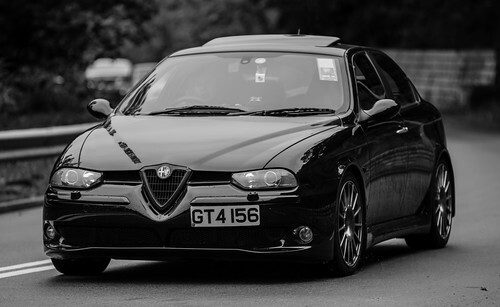 I currently have a 1970 Alfa GTV, it would be awesome to have a new Alfa stable mate for our old Alfa. Let hope they return real soon! Give me a year, getting a face lift. Not much to look at right now! My point about the BRZ was that Alfa needs to stay out of the high end of the market. They can’t play with BMW/Porsche/Audi/MB, nor should they. I would think that a 30-40k rwd sports coupe — they could even call it a GTV — would sell like gelato on a muggy day on Arthur Avenue in the Bronx. which is why i think the 4c will bomb. it may have worked at the initial price estimate of ~£40k but now they are saying launch price will be a ridiculous £52k.